Voice changer online apps are just amazing. They could help you in changing your voice just by using these apps online. You can easily use these apps in order to prank your friends and troll them during a call. Also when you change your voice to a celebrity voice, you can call your friends and pretend that the celebrity is with you. You also can use apps for trolling your friends. I have personally used these voice changing applications on my mobile and have successfully tricked many people. The best part of the apps that are listed below is that these voice changing apps are available to download without any cost, hence they are absolutely free to use for anyone. You can also check out some of the most impressive prank calling apps. There are several instances when you would want to do a prank on your friends or family by calling them with some unknown number and voice. That is why we are presenting you a list of applications that lets you to change your voice very easily. You can use any of these apps listed below in this post and can change your voice and other details of your contact. As the name suggests, you can convert your voice and call any one. 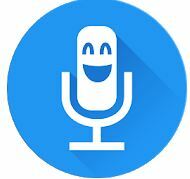 By using this voice app, you can prank your best of the friends and surprise your family members. All you need to do is to make calls with our sound converting app. With more than 24k 5 star rating on the google play store, this is a must have app, if you want to change the voice and are looking to prank your friends. The best part is calls are made using Wifi and involves no cellular charges. Get ready to fool your friends with strange voices with this great voice changer app. 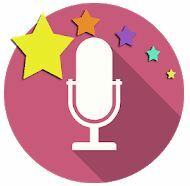 With more then 44k 5 star rating and more than 11k 4 star rating makes it one of the best apps to use for voice disguiser . But the only issue that you may face is that it cannot be used during the call. You will have to record your voices and then you can use it in the prank call. You could use many of the effects like add background sound, make it sound as if you are on a plane, during battle or change speech speed. The thing that I liked about this app is that it has easy to use functions and a great user friendly user interface. Its great feature is that it gives ambient sounds like airplane and you also can change speech speed of converting your voice online. The developers of this app consider this as “The funniest voice editing and converter app in the world”. With more than 13k 5 star ratings, this app is on second number. 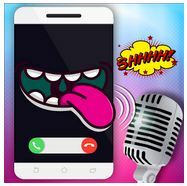 Call Voice Changer also allows you to change your voice in real time and add crazy sound effects. So next time if you are planning to prank your friend by changing your voice , you can use this Call Voice Changer IntCall app. They offer you an inbuilt keypad, from where you can dial desired contact of your friend or family . You need to change your voice in the preset voice effects to fool them. New users will also get free credits. After they are exhausted then you will have to purchase more credit from this them. By using this Voice Changer app with effects you can change voice during a phone call from high and funny to deep and scary voices. 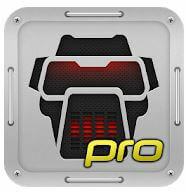 This is a great app as it has got more than 50 million downloads. It has got one awesome feature that people use very effectively. You can use share the voice that you have changes directly on whatsapp and share with your friends and family. Most of the people have given it a five star ratings, hence you can give this a try and see if this app suits your needs. You may use the link below and download the same from google app store. The name signifies more than what we will reveal. This is a great FREE voice call changer to have fun with friends and your family. You can also record the call using voice recorder to laugh after the call. As you may also share the recorded call with many people on whatsapp and Facebook as well. You can download this application if you want these in free from the google play store. Recently this application was launched. 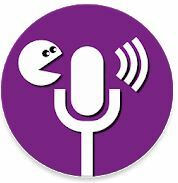 In a short period of time it has became a great success in the field of voice changer apps. You have the options for changing the voices like a funny chipmunk and slow motion. They have also provided the options of changing the effects and quality of sound recorded. Hence it is a great application to use. It has got 267 5 star rating in a very limited period of time. As a result of this we can say that it has been a great application that could be used when you want to change your voice using a voice changer online application. This application is present on the official store of google. You can download the application from there. We have provided the voice changer link below. This is another pretty amazing app that we have listed here for you. According to the reviews by the users, they have got really funny voices in this app. All you need to do here is to record your audio and apply the sound effects and you are good to go. The developers here also have provided the social sharing options that you can use. You may directly share these audios or effects with your friends and family. Some of the most effective and famous edits are Chipmunk ,Child ,Old man ,Martian etc. They have got more than 100 thousand downloads and average user rating is 4.4 from the users. The developers of this app have specially worked on the effect part so much that you will not be able to understand if the voice is edited or not. The user interface of this app is a funky one. Andro Baby developers have included some amazing effects for sound. Some of them include helium, chorus, monster, backwards etc. They have got more than 130 thousand downloads for this app. The main reason behind the success of this app is less usage of advertisement and more focus on improving the sound effects quality. Hence you can give this app a try and check its quality. As the name suggests, you can use this app to change your voice with sound effects. This app is available free to download from the official play store of google. It also provides real time sound changing experience and this is what loved by the people who are using this app. You can easily edit your voice and include some of the sound effects that you may love. This is a pretty much new app and gaining popularity among the people. The developers have kept a very easy to use interface for the users here. The sound effects that are used here are also of top quality. This is one of the good software to change your voice on phone. This is the last app in our listing. As this is a new one in the market but still people have started using this app with great passion. This is completely free app for initial stage post which you need to buy credits. The developers of this app are BNG Entertainment. 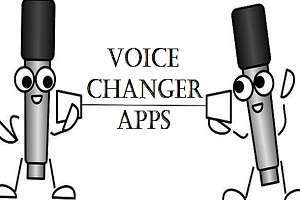 This app also has the real time voice convertor and helps you with changing the voice. You can also listen to the recordings to the prank call right after the prank ends. There is an option to share as well on the social media with this app. Hence you can give this app a try. Another addition to this list of voice changer online, is Best Voice Changer by MeiHillMan. This is pretty awesome and simple to use app. 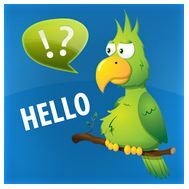 The best option that I liked about this app is, it has a very good voice conversion technology. You also can use the previously recorded audio to convert the voice. The developers have maintained quality, hence they have added only limited number of voices. The voices that are present in the app, are of awesome quality. They have a great bunch of funny voices. There also an option to share the audio through whatsapp, facebook and other social media platforms. They also have effects like : The Smurfs, Chorus, Alien , Robot, Monster, Diving, God of Death, Cave, Hexafluoride, Astronaut , Helium, Kid, Bathroom, Bee, Squirrel, Drunk, Old Radio, Fan. 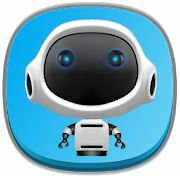 Robovox is one of the newest apps in this list. You can find this app on the official Google Play Store. As the name suggests, you can make your voice sound like a robot. You can have funny robot sound, scary robot sound and evil sound as well. The developers have included 32 different voices in this app that you may use. All you need to do is to record your voice and slide your fingers across the x-y control field and you are good to go. 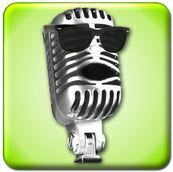 This app also gives you the option to transform your voice live when you are recording. Record your voice and share it with your friends and family or play them on the prank call as well, which will give them a scary robot sound. This would surely scare the person on the other side. You might also love the fact that you can keep the transformed voice as your ringtone of your phone as well. So this was our list of the best voice changer apps for android. I hope you will use these apps for performing a very cool prank on your friend. 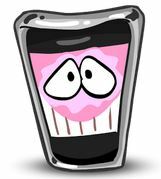 Some of these voice modifier apps are very effective on the other hand some of them are moderately effective. Its totally up to you, which one suites you the best as voice changer online, when you are doing a effective prank call. Using one of these voice changer apps will surely help you in pranks. Some of them will even work for free prank calls as well. I still remember that I used one of these online voice changer apps and it was pretty effective. As my mom thought that I am police official. So this was only possible as I had the best of the voice changer apps for android online. 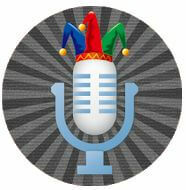 You could also share this list of the amazing voice changer online apps for prank calls. This would be very helpful for your friends and family members as well. They will also perform a prank call that could lead to some of the funniest moments in their lives. You should give them a try. Nice information. I will use this app for youtube. Is that even existing ? Yes they are, if you want me to add any voice changer app, then let me know.